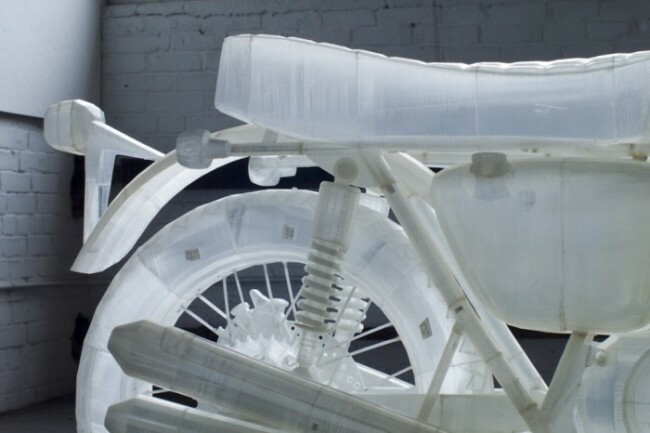 If you buy the bike of your dreams does not work, it can be printed on a 3D-printer. Anyway, so did Canadian designer. 3D-printer is rapidly gaining market share, but their potential can be used only until the unit. 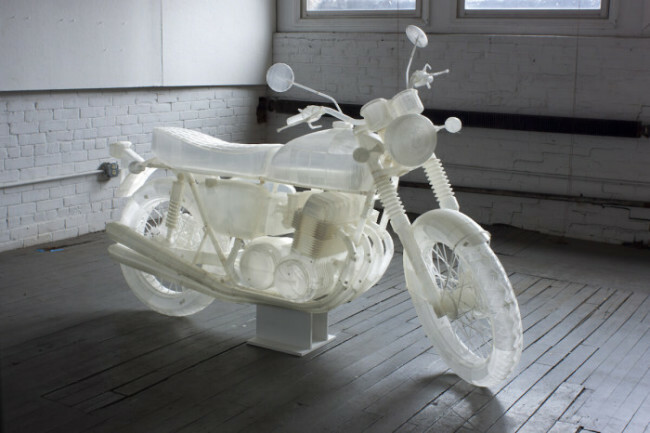 Canadian sculptor Jonathan Brand from New York, presented a copy of the famous motorcycle 1970 Honda CB500 , printed on 3D-printer. 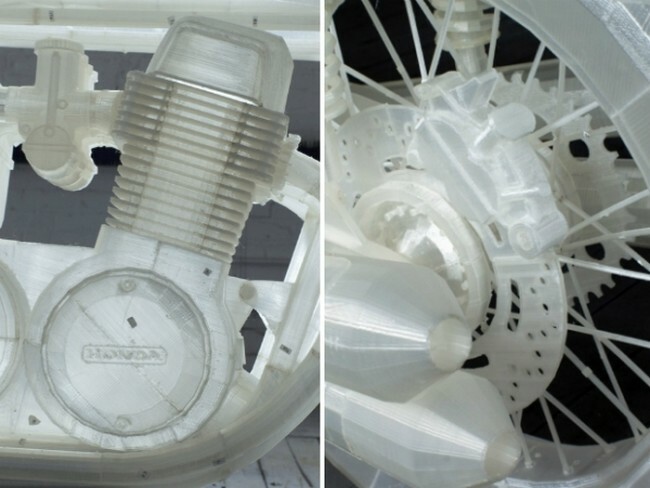 The model is made in scale 1: 1, so that the designer had to be printed on motorcycle parts. The material chosen brand transparent biodegradable plastic. The thickness of all printed items – 1 mm. Weight of the motorcycle, which was hand-built 18 kg. It is worth noting that this is not the first experience of creating a vehicle on 3D-printer. In one of the previous reviews we were talking about the electric car Strati , printed on the front of psetiteley Motor Show NAIAS.